How can we help you find the best talent in the medical device industry? 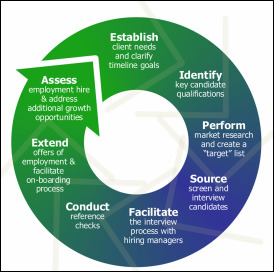 At Start Recruiting, we go above and beyond the typical process of finding a pool of candidates and sending them your way. As your recruiting partner, we intimately research your company, the position, and the culture to assure the right fit. We are performance driven and highly motivated to get the job done right the first time. Our goal is your 100% satisfaction and we are prepared to go to extraordinary measures to accomplish just that. We have experience working with multi-national Fortune 100 companies, single proprietorships, and everything in between. Our market focus is on the local and national medical device community with expertise in R&D, process development, manufacturing, quality, regulatory, and project / program management. Relationship management is essential to our shared success. We have sought out the best resources available in order to provide you a highly targeted and effective candidate search. 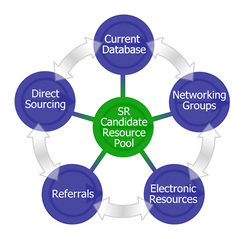 To that end, we architected the SR Candidate Resource Pool - our fully integrated recruitment tool designed to maximize results during the exploration process. Our promise is to deliver customized search and recruiting services with exceptional results. We are driven to success at every level and will take every step necessary to win your trust, approval, and ongoing business. "Start Recruiting stands out as a leader among their competitors. They took the time to learn about my organization, environment, and open positions. They were aggressive in their search and were able to find me the right candidate the first time around. I would be happy to work with Start Recruiting on any level position in the future!" "I have enjoyed working with Start Recruiting. When I have a position to fill, they are able to produce strong candidates quickly and they follow up promptly on how things have turned out. What I especially like about Start Recruiting is their knowledge of the candidates. I feel as though they have done the advance work, so I don't have to it." "Start Recruiting is the best in the business. Their team always brings a high level of energy and enthusiasm to the table. They have a “get it right” the first time strategy that saves my company a tremendous amount of time and money."